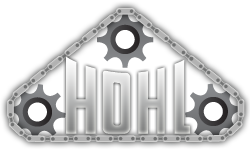 Hohl Machine & Conveyor Co., Inc.
Hohl Machine & Conveyor has been designing and manufacturing material handling systems and components for over 65 years. We serve industries from all corners of the market. From Automotive to Food to Pharmaceuticals to Aggregate handling, Hohl has the knowledge and experience to meet any material handling needs. © 2019 Hohl Machine & Conveyor. All Rights Reserved.